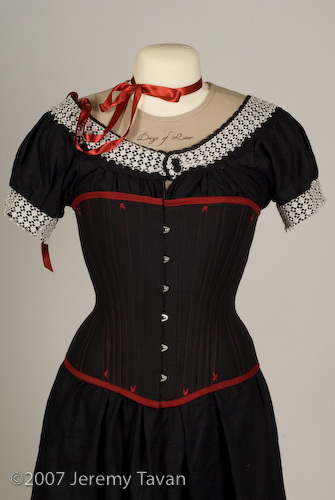 This corset is really a stand-in temporary corset. 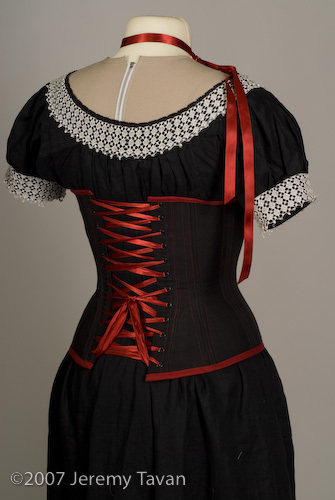 It was a mock up that was finished because we haven’t found the right final fashion fabric but a corset was needed to be used for the run of Dickens Christmas fair. 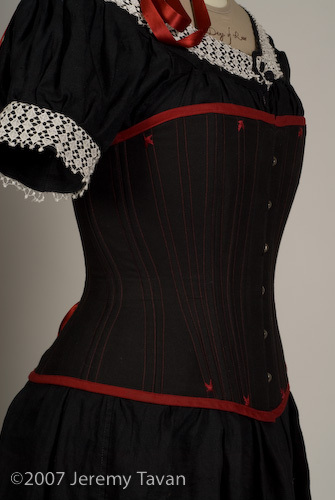 So while I source the “right” fabric this two layer black coutil corset sewn and bound in red will do a good job as an undergarment for her Victorian gown. Yes it is her corset.